A couple of months ago, I was absolutely sure that Chatsworth, Los Angeles couldn’t surprise me with any new discoveries anymore. Living there for a few months, I had plenty of opportunities to explore the place and nearby areas. Yes, I should admit, its remarkable scenery has always fascinated and intrigued me. First time I laid eyes on those astounding landscapes I wanted to take out my camera and take as many pictures as I only could. Don’t get me wrong, I still love those places, but in no way could I even imagine having new adventures in that part of Los Angeles. 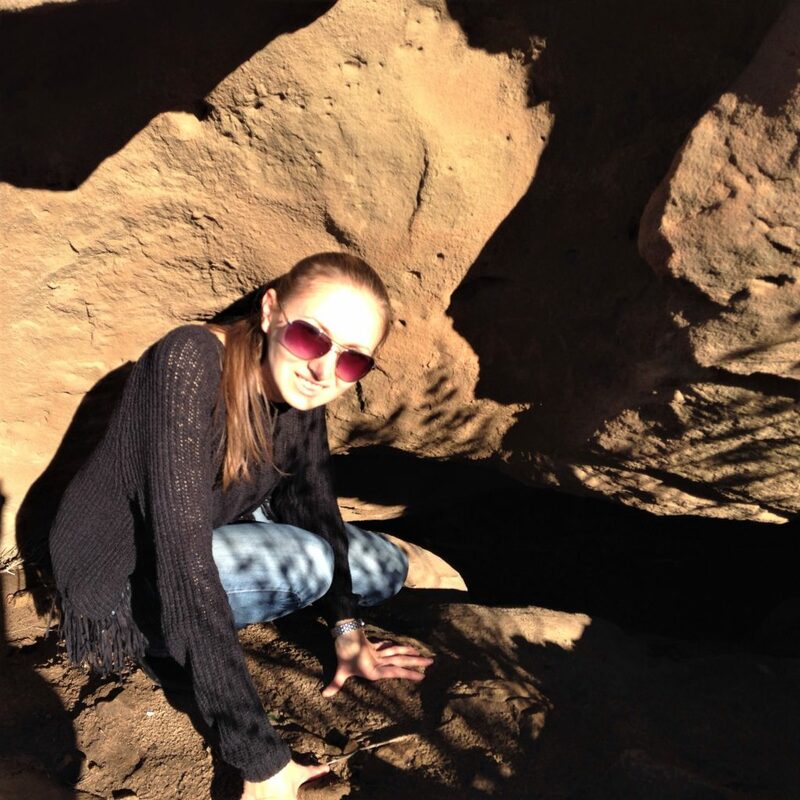 Yet, I was mistaken about it… Astounding Stoney Point Park was the place that I still had to explore. 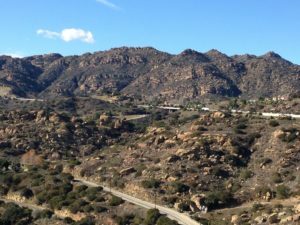 Located in Chatsworth near the 118 Freeway, Stoney Point or also known as the Stoney Point Outcroppings immediately entices you and sets you ready for adventure. 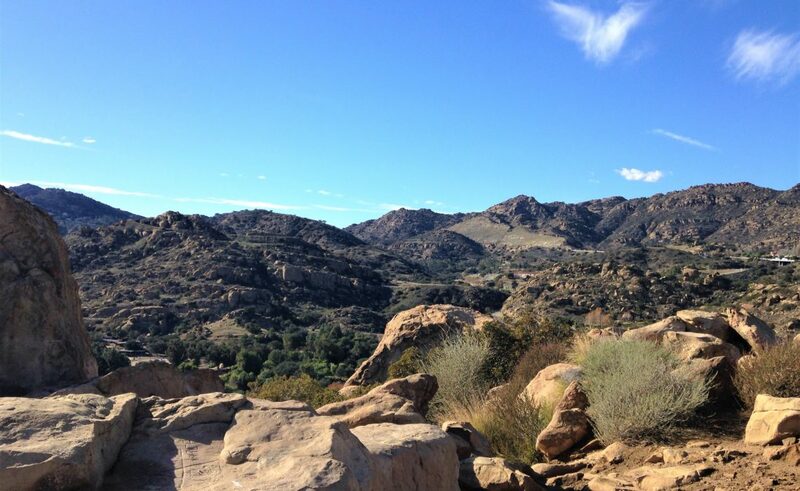 And let me tell you, longing for adventure and exploration come naturally knowing that Stoney Point Park is considered one of the most picturesque places in Los Angeles. Needles to say, the massive boulders’ mountain has been used as a backdrop in many Hollywood movies. Starting your ascent at the bottom of the mountain, you ought to choose difficulty level: either you prefer to hike, bridle or climb rocks. There are quite a few trails surrounding the Stoney Mountains, but the best part is that you can stray from the chosen trail and explore the rocks on your own. Be ready to meet other mountain’s enthusiasts along the way. 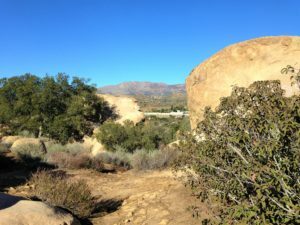 Stoney Point Park has a long history of attracting rock climbers who use the enormous boulders to practice the sport of bouldering. Near the foothills of the mountains you are, most likely, to see the beginners with climbing teachers training on the lower-elevation rocks. Higher-elevation rocks encounter you with the advanced climbers. 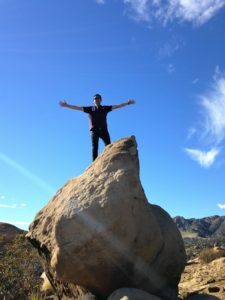 The most adventurous of them even attempt to conquer the sheer cliff of the famous Stoney Point, a massive boulder sitting on the top on the mountain. 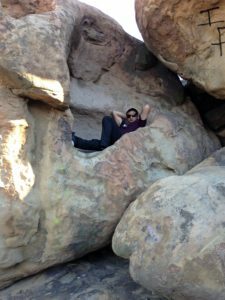 In multiple places clusters of boulders create caves, dens and alcoves that ought to be explored on the way either uphill or downhill. 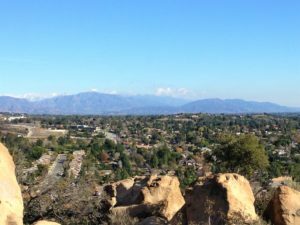 Finally on the top of the rock formation, the most determined climbers are rewarded with spectacular views of Chatsworth, Coyote Pass, the Santa Susana Mountains and San Fernando Valley. And that is the climax of the adventure! 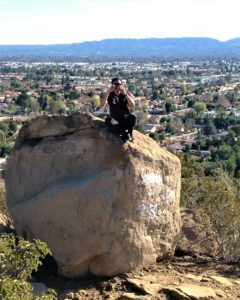 Descending the mountains, try to take different route and explore different parts of Stoney Point. You will be proud of yourself that you did it because it’s definitely worth it. Have you ever discovered new places where you didn’t expect to find them? If so, what are they? That place is absolutely amazing!! Lately I’ve been reading more and more about California on travel blogs, and the nature looks wonderful! So different from what I’m used to here in Europe. I’ve been living in Croatia my whole life, and each time I travel close to home I discover something beautiful. You don’t have to travel far to experience something new! I agree with you. You will find beauty everywhere as soon as you decide to appreciate your city, town, or just a ranch. However, travel shapes you, teaches to appreciate everything around you. I hope one day I’go to Croatia and explore this beautiful country as well.